Center Township, PA Dentist, Dr. Richard Covatto was born and raised in Erie, Pennsylvania. 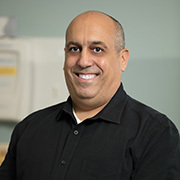 Dr. Covatto attended the University of Pittsburgh. He then went on to study Dentistry at Temple University School of Dentistry in Philadelphia, PA. After graduating, Dr. Richard Covatto completed a General Practice residency Program at Bryn Mawr Hospital and soon began working in the Philadelphia area. His first years involved working in a successful and fast paced group practice excelling in general dentistry. He remained there for four years. Dr. Covatto met his future wife Roseann in his studies at the University of Pittsburgh and they are now celebrating nearly 32 years of marriage! Dr. Covatto moved back to Pittsburgh in 1992 and opened his current practice at 3572 Brodhead Road, Monaca, PA 15061. Dr. Richard Covatto is passionate about keeping up with latest developments in dental practices and technology. His continuing education has included credits in soft tissue laser therapy and dental implant placement and restoration. Dr. Covatto also participates regularly in several study clubs that deal with a comprehensive team approach to patient care. In 2014, Dr. Covatto invested in the breakthrough CEREC System, which enables him to create and insert dental crowns and veneers for the patient within one single visit. He enjoys applying the use of advanced technology, like the CEREC System and the Planmeca 3D Imaging System, to cases of implant, orthodontics, endodontics, and rehabilitative dentistry. Dr. Richard Covatto engages a team approach in providing top level services to his patients, whom he considers family. Dr. Covatto hopes to see you and your smile soon! Starting June 13th our family is growing!! We are proud to offer an extraordinary dental team comprised of Richard Covatto and Carolyn Simpson Molzahn. These doctors share a philosophy of care to help patients achieve lifelong dental health and tooth preservation through utilizing the latest advances in dental restorations, implant placement and TMJ therapy. Our office utilizes and produces the industry's highest quality on-site fabrication of all-porcelain CEREC restorations. We use 3D radiographic imaging for digital implant planning and guided implant placement which allows for the highest success rate and most predictable results when it comes to implant integration and restoration. Having a team a dental team in place that is able to treat your most basic needs such as cleanings and maintenance and extending all the way to complex full mouth restorations makes Covatto Family Dentistry your premier practice of choice. 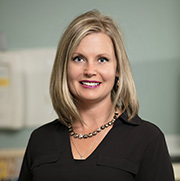 Dr. Carolyn Molzahn, Carolyn Molzahn, DDS, was born and raised in Columbus, Ohio. Her father is a native of the greater Pittsburgh area. She attended Denison University for her undergraduate education, where she played collegiate basketball and earned a B.S. in Biology. She graduated from dental school at The Ohio State University. 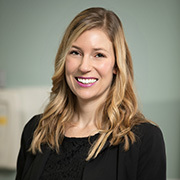 After dental school, she completed an Advanced Education in General Dentistry residency program from the Veterans Affairs hospital in Dayton, Ohio. She then entered into general dentistry at a private practice near Cincinnati. Since joining Covatto Family Dentistry in June 2017, Dr. M. has truly loved being a part of the team! Her favorite types of procedures are CEREC crowns, esthetic dentistry, root canals, and implants. 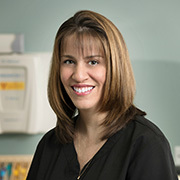 She loves helping patients throughout every aspect of their dental care. Outside of dentistry, Dr. M loves spending time with her husband and their crazy cat Zeke. Her two favorite sports teams are the Buckeyes and the Steelers. She also enjoys running, cooking, and traveling! Dr. Covatto and his team understand that most people do not enjoy going to the dentist. You are busy, and you are on a budget. To accommodate you and your family, our team at Covatto Family Dentistry focuses on comfort, convenience, and affordability. Hi I’m Marci, I grew up in New Galilee and graduated from Beaver Falls High School. I attended the dental assistant program at Median School of Allied Health Careers in Pittsburgh. I worked as a Dental Assistant for several years then decided to continue my education in dentistry. 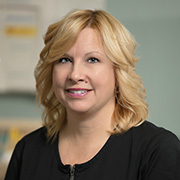 I attended Youngstown State University’s dental hygiene program and have been enjoying my career as a dental hygienist. I really enjoy getting to know each of my patients, from the young in age to the young at heart. My goal is to make everyone feel welcome and comfortable while education them about the importance of good oral hygiene. I live with my family in Darlington Township on 14 acres of land. I enjoy decorating my home, which is a log cabin my family built and gardening. Hi my name is Dana, I’m from Hopewell, PA where I live with my Jason. I graduated from Median School of Allied Health Careers in 1999 with my certificate in Dental Assisting with Expanded Functions. I value providing our patients with excellent, supporting care during their visit with us. I always hope to educate each individual so they are able to maintain good dental care habits. In my spare time I enjoy boating & fishing with my husband, our pets and going to craft & wine shows. I am extremely craft & enjoy helping around the office in whatever way I can. Hi my name is Natalie & I joined my dental family approximately in July, 2017. Here at Covatto Family Dentistry we treat each patient as a family member. 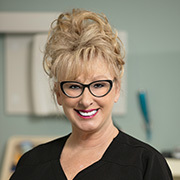 I have been a hygienist for almost 32 years and love the relationship and rapport I have with each one of my patients. I’m Tiffany, I’m originally from Beaver PA where I graduated from Beaver High School in 2008. I moved back to Beaver County in October 2014 after traveling around the country with my husband who served Active Duty with the United States Army for 10 years. I fell in love with the dental field when I completed the American Red Cross Dental Assistant training program at Fort Campbell Kentucky. I am a loving mother of two and I enjoy spending time with my family and friends. 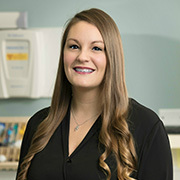 I have worked in the dental field for over 17 years making sure patients receive a warm caring experience whether it’s clinical or with their financial needs and treatment concerns. I enjoy getting to know patients and helping to make a beautiful smile fit into their budget. I am always glad to discuss fees with our patients before treatment begins. I inform our patients that flexible financing with monthly installments and no interest charges can be arranged. 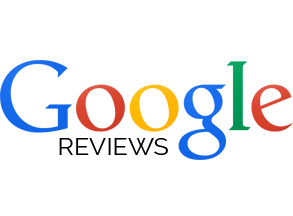 I am dedicated to helping each patient who visits us have a great experience! The entire team at Covatto Family Dentistry in Monaca looks forward to treating you!